I don’t believe there’s anyone alive in the world of board games who’s managed to corner the Awesome Light Wargame With Badass Mythological Miniatures niche so well as Matagot, as evidenced by Cyclades being one of the best games of 2009 and Kemet knocking everyone’s socks off in 2013. Proof, and more proof (at least for the Kemet half of that claim). Now Matagot has put out an expansion aimed at anyone who owns both of those masterpieces. 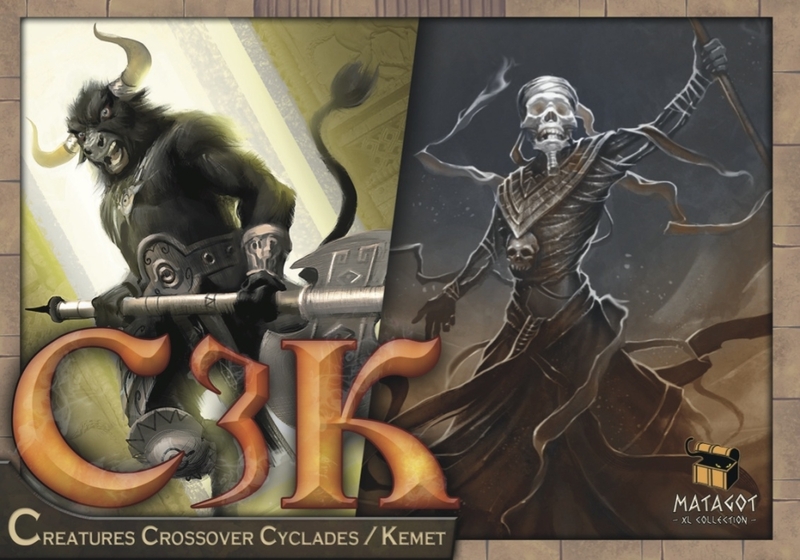 It’s C3K, or the Creatures Crossover Cyclades/Kemet expansion, and it’s… well, let’s take a look. Today I’m going to tell you about a board game that’s about as close to genius as a board game can get, while also being so straightforward that you’ll be upending the box thinking you missed a traitor mechanic or something — you know, the complicated part. 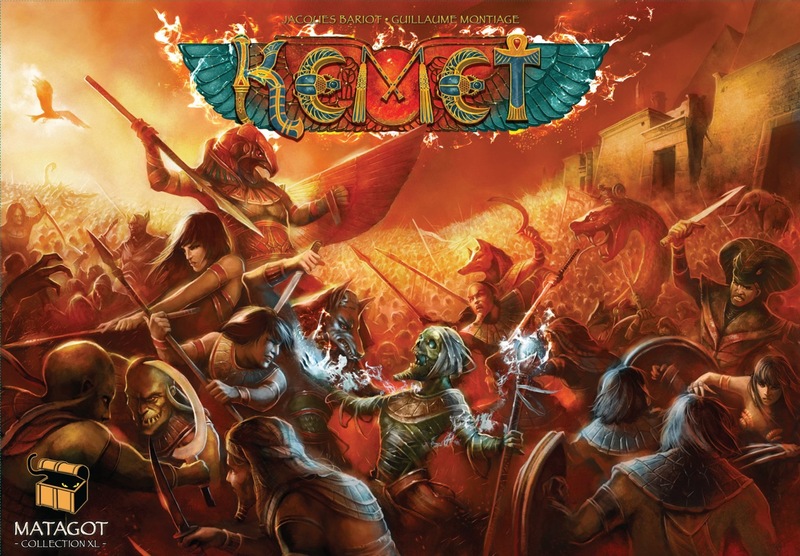 It’s called Kemet, from the same company that put out the very admirable Cyclades a while back, and if your entertainment budget only permits you to buy one game over the next couple months, and if the folks in your gaming group can tolerate getting angry — I’m talking simmering, dagger-glaring, evening-ruining pissed off — then you can’t do much better than this one.